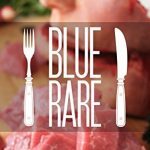 Blue Rare is the tale of celebrity chef, Mary Carver: rough around the edges and with a penchant for self-destruction that has her on the verge of financial collapse.It’s also the story of a Texan father and son who hunt more than just big game… a Japanese reality star who is open about his unusual eating habits… a fifth-grade teacher transitioning into the most animalistic version of himself… a bloodthirsty social media starlet… a man who will go to any length to maintain his relationships… and a billionaire foodie with a preference for meals that squirm on the way down. When these characters converge for a weekend of fine dining on a remote island just outside of Seattle, few will make it back to the mainland with their heads intact. 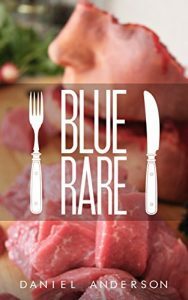 A vicious and strange who’s who of infamous cannibals, Blue Rare is told from the perspective of each dinner guest, the chef, and the meal.